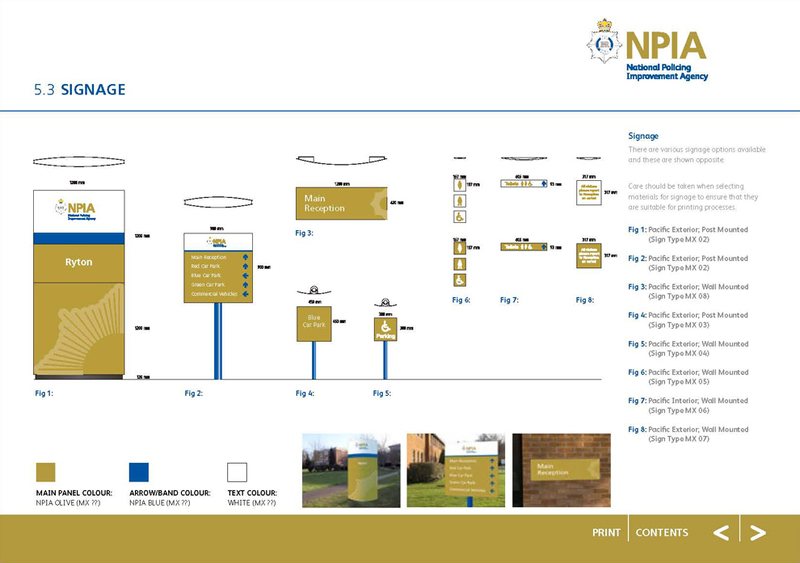 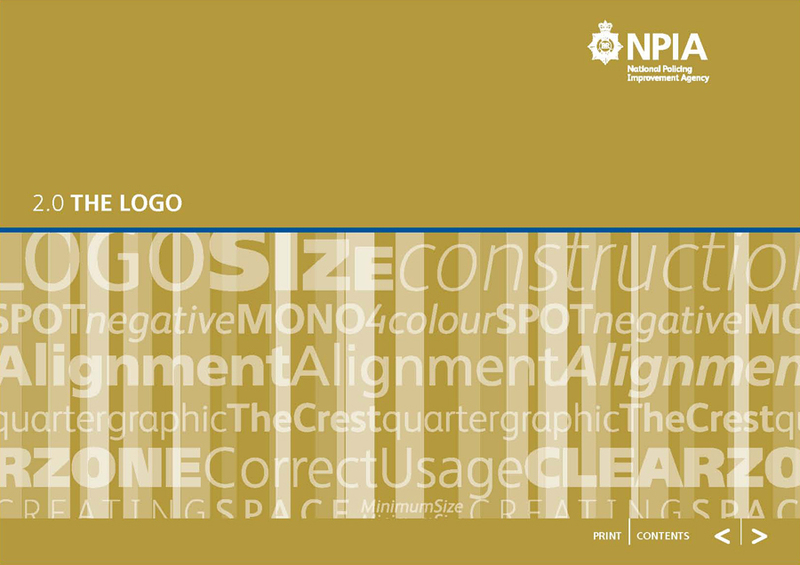 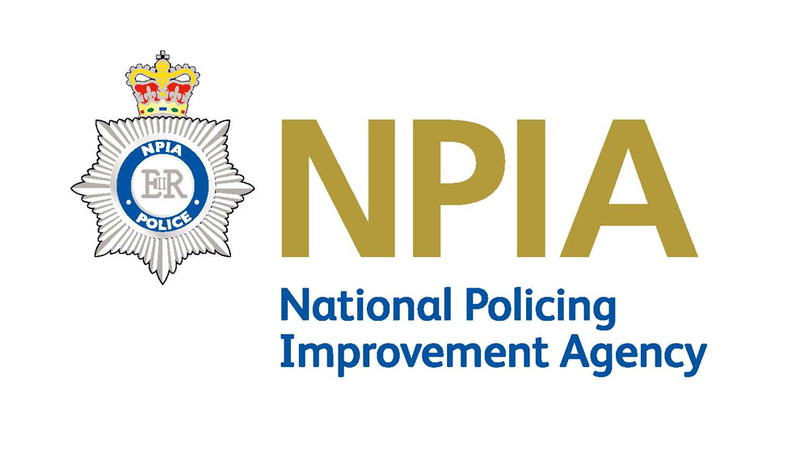 The National Policing Improvement Agency (NPIA) is a non-departmental public body established to support the police by providing expertise in such areas as information technology, information sharing and recruitment. 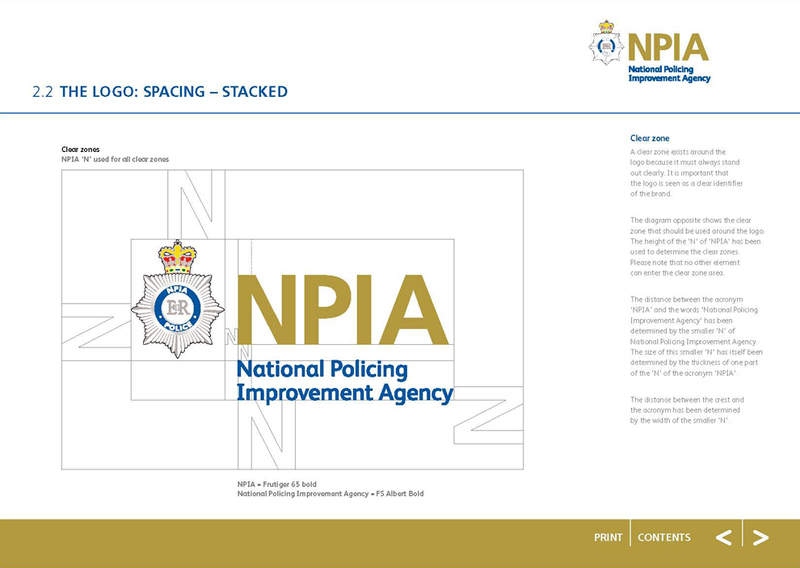 It was formed in April 2007 and took over the work of several precursor agencies. 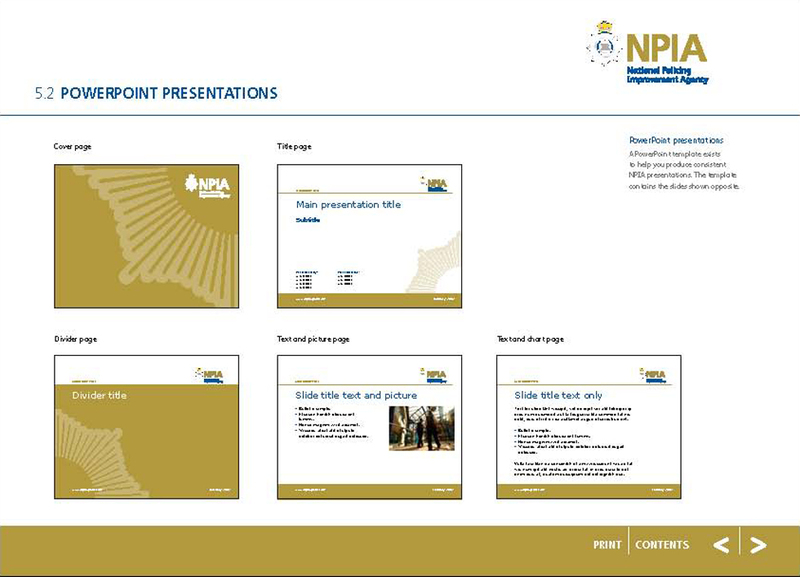 The task was to develop an identity that represented the Police Information Technology Organisation (PITO) and Centrex which were the IT and training arm of the police before the formation of the NPIA. 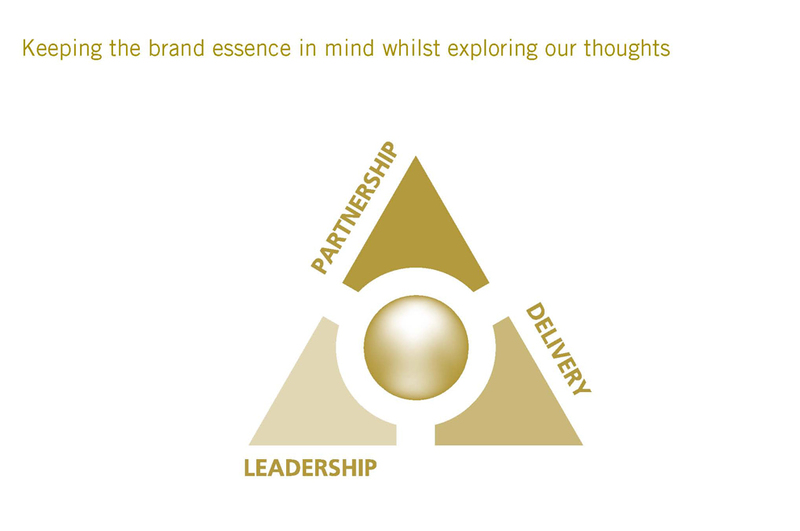 It was also to develop a strategy to bring the cultures from each organisaton together seamlessly. 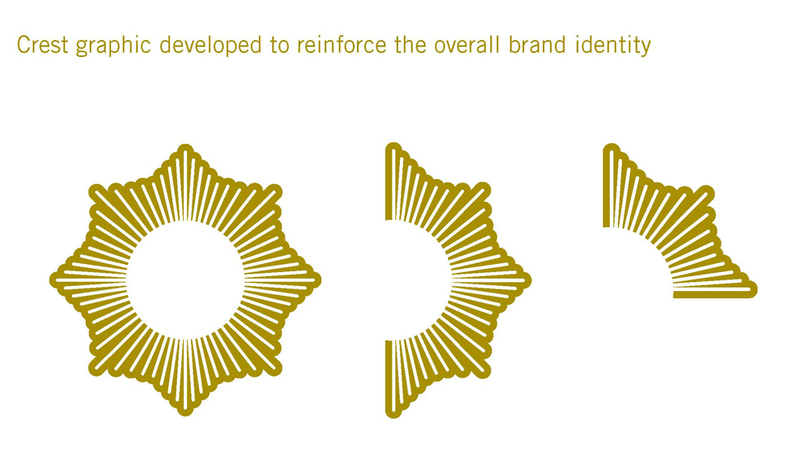 Shown here are just a few samples of the logo development, followed by selected pages from the guidelines.